Fast Facts: 2014 Update: YSC will be opening the 2014-2015 soccer season with the Back to School Challenge. It is a great event to kickoff your soccer season and get in games before league play. Payable to: AzSoccerEvents Bcak to School Challenge. Age Brackets: BOYS & GIRLS: U-19, U-18, U-17*, U-16, U-15*, U-14, U-13*, U-12, U-11*, U-10, U-09, U8, U7. If you want to play up an age bracket you must clearly notate your application. *NOTE: These brackets will be created only if enough qualified teams enter. Otherwise your team will be placed in the next highest even age bracket. ADDITIONAL NOTE: All U11 games will be 8 v 8. Credentials: All players must have 2013-2014 US Youth Soccer, US Club Soccer or AYSO player passes, medical release forms. NO PASS OR PAPERWORK NO PLAY! 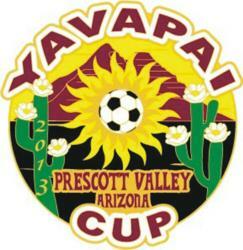 Rules: US Youth Soccer subject to specified modifications by US Youth Soccer/Arizona, and the Back to School Challenge. A copy of the rules is available on the web site and will be given to the coach at check-in.